One of the problems with Yahoo! Answers is that once you answer a question, if someone else comes along and follows up with an answer that you’d like to respond to because it is factually incorrect, you can’t. You only get one shot at answering. So, if anyone at Yahoo! Answers sees this and would like to copy/paste it verbatim to this question, I give my permission and hereby declare this post to be in the Creative Commons. Anyone is free to copy/paste it anywhere else as long as credit is given as a link back to this blog. Also, you are free to modify or add to the post as long as the intent of the post isn’t changed. Let’s look at these more closely, shall we? johninjc provides a several quotes from a linked images of single pages of a single Congressional proclamations in the year 1776-1779. The proclamations call for days of “solemn thanksgiving and praise” and prayer and use the religious language of the day. They seem to imply and certainly nourish the erronious [sic] idea of a national religion. The idea also of a union of all to form one nation under one Govt in acts of devotion to the God of all is an imposing idea. James Madison wasn’t the only Founding Father to object to proclamations of thanksgiving and fasting. Another, very notable, Founding Father, likewise, had his doubts about the wisdom of embracing any one religion or religion in general. That was none other than Thomas Jefferson. Certainly, no power to prescribe any religious exercise or to assume authority in religious discipline has been delegated to the General Government. …But it is only proposed that I should recommend, not prescribe a day of fasting and prayer. That is, that I should indirectly assume to the U.S. an authority over religious exercises which the Constitution has directly precluded them from [...] [my sense of reason] tells me that civil powers alone have been given to the President of the U.S. and no authority to direct the religious exercises of his constituents. Another important detail is to note that even those Founding Fathers who were opposed to issuing these types of proclamations occasionally found themselves using religious beliefs for political purposes. Yet it doesn’t imply that they felt Christianity was either important or necessary in Founding the United States. Next, johninjc proceeds to provide several quotes by Founding Fathers, leading off with George Washington and his inaugural address in 1789. In that address, Washington uses terms like “Almighty Being” and “invisible hand,” but he never once uses any Christian terminology. Indeed, he never says the word “God.” This should be painfully obvious to the Christian and, at the very least, concerning. Why wouldn’t Washington recognize their religious beliefs directly and specifically. Next, johninjc includes a quote by John Adams in a letter to Abigail regarding the manner in which the newly formed nation should celebrate its independence. In the letter, John writes to his beloved, “It [Independence Day] ought to be commemorated, as the Day of Deliverance by solemn Acts of Devotion to God Almighty.” This is the most religious text of the document and johninjc, as well as a few desperate others, present this as some sort of evidence that Adams was a Christian. What are we to make of this? Is Adams saying or implying that he is a Christian? Or is he acknowledging, as the agnostic and Deistic Founding Fathers frequently did, that religion is a good thing for the common people; that religion is present among the common people. If Adams is acknowledging that he is a Christian, then it will be a simple matter to find other quotes which more specifically and explicitly state as much. If, however, Adams is merely acknowledging that the common people hold religious beliefs and that it is expected that these religious language and superstition be included in significant events. As the government of the United States is not, in any sense, founded on the Christian religion; as it has in itself no character of enmity against the laws, religion or tranquility of Musselmen â€¦ it is declared â€¦ that no pretext arising from religious opinion shall ever product an interruption of the harmony existing between the two countries. â€¦ The United States is not a Christian nation any more than it is a Jewish or a Mohammedan nation. Finally, johninjc quotes two more Founding Fathers, Thomas Jefferson and . In each, he finds some spurious mentions of God and use of religious language, generally considered to be the legal language of the day. One is left to wonder if acknowledging only those quotes and speeches that confirm a conclusion already arrived at constitutes the sum of his learning. At the very least, it is the precise sort of “misquotes” johninjc pretended to have an objection to -snippets of writings and speech taken out of context or without consideration for opinions of the Founding Father that don’t match with his preconceived conclusions. Such Christians act and react without intellectual honesty, since information that doesn’t support their conclusions does not exist or is ignored. Millions of innocent men, women, and children, since the introduction of Christianity, have been burnt, tortured, fined, imprisoned; yet we have not advanced one inch towards uniformity. What has been the effect of coercion? To make one half the world fools, and the other half hypocrites. To support roguery and error all over the earth. Let us reflect that it is inhabited by a thousand millions of people. That these profess probably a thousand different systems of religion. That ours is but one of that thousand. The writings and opinions of the Founding Fathers are clear: there was to be a division of church and state; the United States of America was not to be a “Christian nation” any more than it was to be a Muslim nation or a Jewish nation. The real problem is that traditionally, Christians and Christian groups occupied a position of privilege which was not accorded to any other religious tradition in America. Today, however, more and more of that privilege is being lost, and even if they are not able to consciously articulate it, many Christians are acutely aware of that loss and aren’t happy about it. Unfortunately for them, there also isn’t anything which they can do about it, at least so long as they remain committed a free nation. I agree with Austin on this point. The goal of the religious right in the United States is to obtain,maintain, and/or sustain power and status, depending upon how they see their current situation. 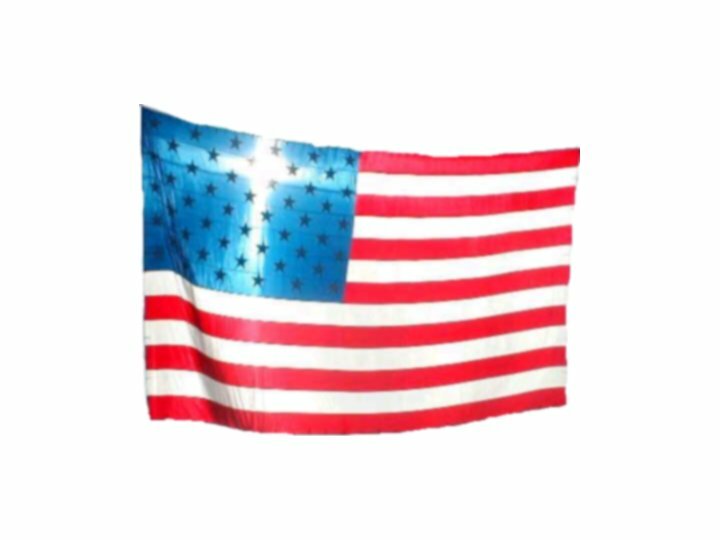 I would add that it is also unfortunate for these Christians that their position is un-American and not consistent with the patriotism and sense of unity that the Founding Fathers originally envisioned and ultimately laid out in their official and unofficial writings. I chose the quotes and references above for the express purpose of demonstrating that the Founding Fathers were decidedly against the idea of religion being involved in government or state affairs. There is two ways one can view the title question of this post, is the United States a Christian nation? : 1) is it comprised of a majority that is Christian? 2) is it a nation that should be exclusively governed with Christian values, principles and doctrine in mind? In the former, we can answer “yes” in much the same way that we could have answered “yes” to the question of whether the United States is a “white nation.” Yet, we shouldn’t be proud to do so. The real question is the latter, and to that the Founding Fathers have generously answered. The U.S. is not a “Christian nation,” but one where church and state affairs are held necessarily separate to the advantage of all believers and non-believers alike. This entry was posted in Christianity, Culture Wars and tagged christian nation, Culture Wars. Bookmark the permalink.